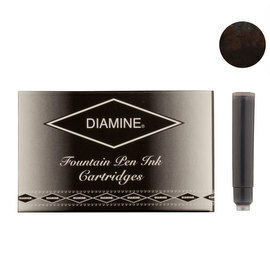 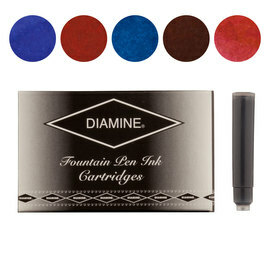 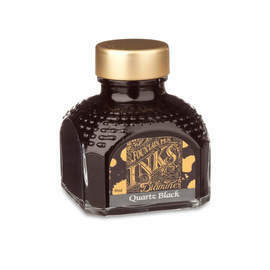 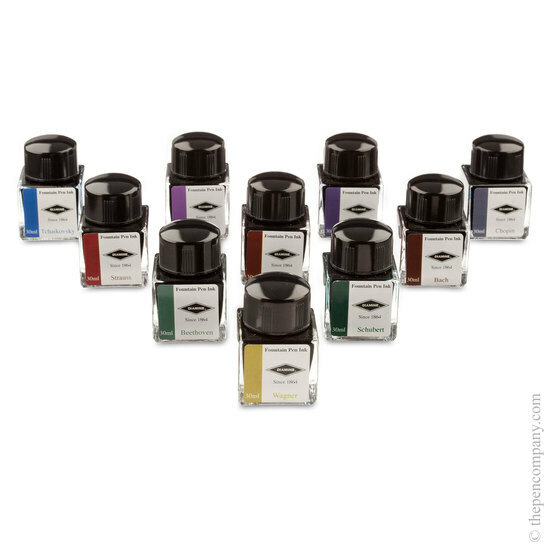 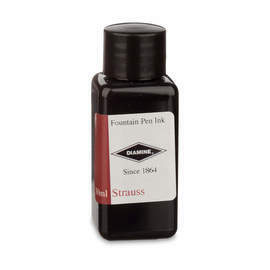 This elegant gift box of 10 fountain pen inks is emblazoned with the Diamine logo. 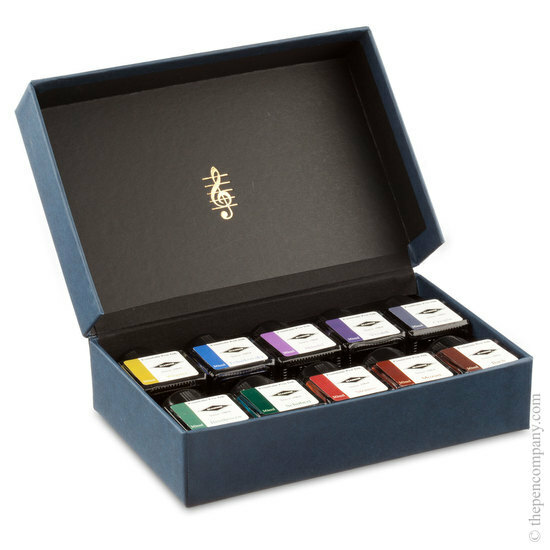 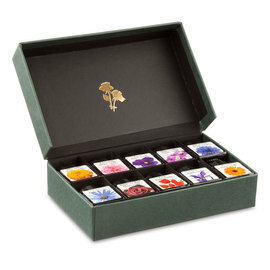 Once opened, the hinge-topped box features a gold-foiled treble clef on the inner lid and contains 10 colours, inspired by great composers and unique to this set. 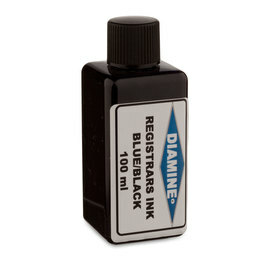 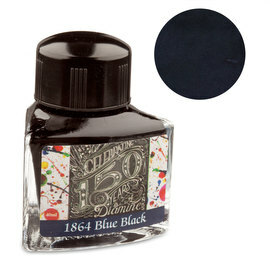 Each cube like glass bottles contains 30ml of renown Diamine fountain pen ink. 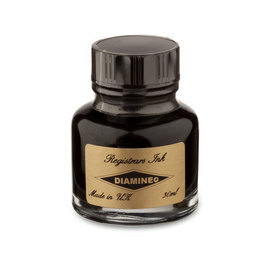 Made in England since 1864.